Welcome to my blog about investing in Japan. Japan is a wonderful country full of opportunists. It is a rich country that is home to a number of the worlds largest companies in the world. It is also home to a lot of smaller companies that can be great investments. Investing in Japan can be a daunting task if you are unfamiliar with the tradition and cultures of the country. Rituals plays a lot larger role on Japanese society then they do in most western countries. In the west you risk offending someone if you do something that is consider less then proper but you are unlikely to lose the deal. When you invest in Japan you risk losing the deal altogether if you do not adhere to tradition. If you do not show the other parties due respect. Most Japanese people try to be tolerant of foreigners who commit a cultural faux pas but it still very important to do all that is possible to learn about and observe Japanese cultural traditions if you are going to do business in Japan. Do not get discouraged if you at first find it hard to understand the culture and what is expected of you. I am born in Japan and has expat parents. 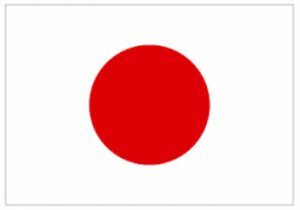 I have been raised in a western household in Japan and have spent most of my life here in Japan. I can still find it hard to observe all customs i am expected to observe. The most important thing is not to get everything 100% right. It is to make it clear that you are trying and doing your best to learn, understand and observe local customs. Hiring a consultant that know the local customs can be a very good idea and allow you to learn what you need to know a lot faster then you otherwise would. Most books contain information that is old or incorrect. A good consultant can tell you which customs are really observed in the area you want to invest in. Never trust what you can read in books or online 100%. That includes what you can read on this website. Buying and selling stock in large Japanese companies is easy. There are a number of different stock brokers that allows you the opportunity to buy and sell stock in Japanese companies listed on the NIKKEI. The Japanese stock market. 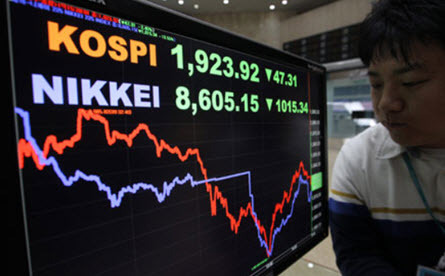 Buy stock on the NIKKEI work exactly the same as buying stocks on the NASDAQ or Dow Jones. The fees associated with buying and selling Japanese stock can be different than those you pay when you buy US stock. You do not need any in depth knowledge about the Japanese culture to be able to invest in Japanese stock. Examples of Japanese companies you can buy stock in Canon, Sony Corporation and Rakuten Inc. There are a number of different US and UK brokers that offer CFD:s and other financial instruments based on Japanese stocks. This makes it easy to day trade and make leveraged trades on the Japanese stock market. Day trading in Japan can extend the number of hours you can trade each day since the Japanese market is open during other times then the US and European markets. Extending the number of hours you can trade each day can dramatically improve your profits but can also cause you large loses if you trade for longer periods than you are able to stay alert. Never keep trading if you are too tired to make good choices. Investing in options is very easy. The options are traded on the open market and you do not need to know anything about Japan to be able to invest in them. You can login to your broker account to buy and sell options directly on your computer. If you are looking to invest in binary options based on Japanese stock then you can do that through most European and American binary options brokers. Most brokers offer options based on a number of different large Japanese companies. Private offerings can be very profitable to take part in but it can be very hard to find a way to be able to invited to take part if private offerings. They are often offered in close nit Japanese investing networks. It can take decades to become a part of these networks. Up starts looking for funding will often look for Japanese investors but will often be thrilled to accept foreign investors as well if you are able to find them and offer them funding at the right time. Investing in local business and small state real estate can be very challenging. You need to be able to talk to the proprietor and be able to understand what he says and what that really means. It does not always mean what you as an American or European might think it means. I recommend that you always hire a local expert to help you navigate the deal if you are looking to invest in a small local business or in real estate.